Samsung has announced details of its latest gaming device, the Samsung Notebook Odyssey. 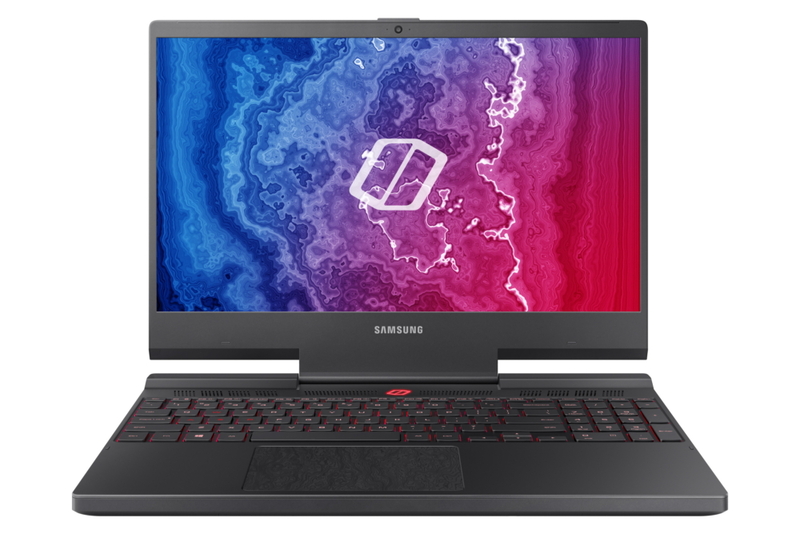 The South Korean manufacturer introduced its Odyssey line-up in early 2017 and now the company has put together a new laptop to try to entice gamers away from the usual suspects. An 8th generation hexa-core i7 processor and an Nvidia GeForce RTX 2080 come as part of the package. 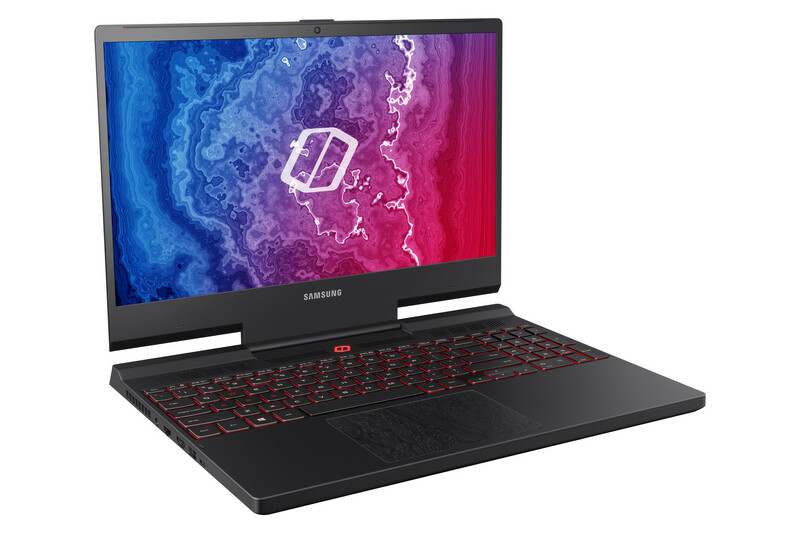 The Samsung Notebook Odyssey is the latest effort from the renowned smartphone manufacturer to break into the gaming segment of the laptop market. 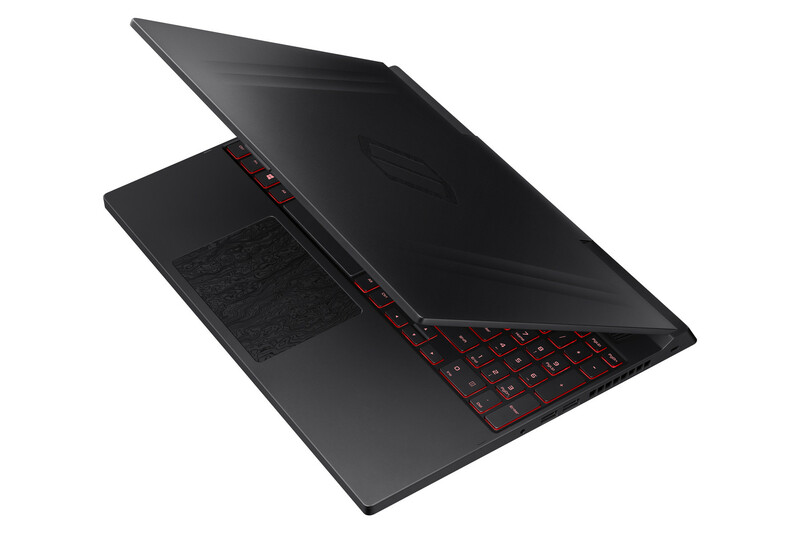 The new 15.6-inch device offers a Full HD screen that promises a gamer-friendly 144 Hz refresh rate. Nvidia’s G-Sync technology is also onboard, meaning users can enjoy improved graphics performance and a reduction in screen tearing. To go with the high-end display, Samsung has selected some high-end components. 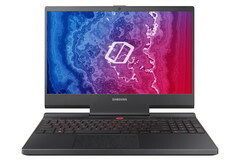 The specifications sheet mentions an 8th generation hexa-core Intel Core i7 CPU, so it could likely be an i7-8700B, i7-8750H, or an i7-8850H; all of these mobile processors can offer maximum Turbo clock rates over 4 GHz. The recently released Nvidia GeForce RTX 2080 should be enough to satisfy most gamers with its ray-tracing ability and its AI-enhanced graphics technology. 16 GB of RAM (dual memory slot) demonstrates the gaming aspirations of the Samsung Notebook Odyssey, while storage is provided by a 256 GB NVMe SSD (2x SSD slots) and a 1 TB HDD (1x HDD slot) – another SSD can be added to the system if required. Cooling is provided by a “penta-pipe” system that incorporates two Jet Blade fans sporting 83 blades each. Reduced bezels and the presence of aluminum should provide the Samsung Notebook Odyssey with an appealing look. 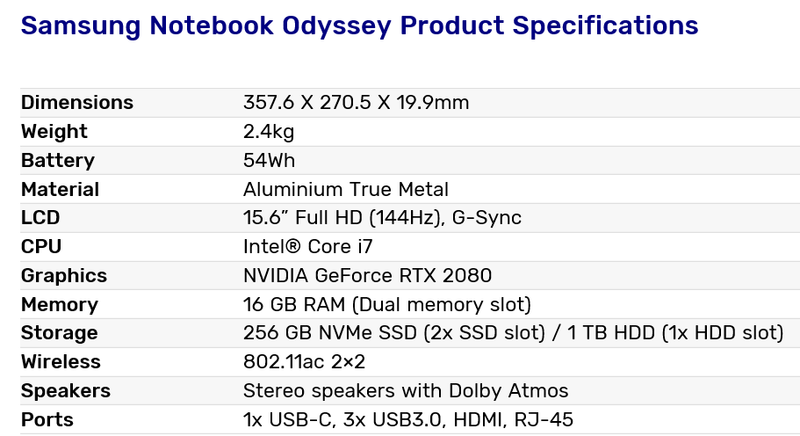 The Samsung Notebook Odyssey should be released in the USA in early 2019, with Korea, China and other “select regions” receiving the device shortly after the US market. 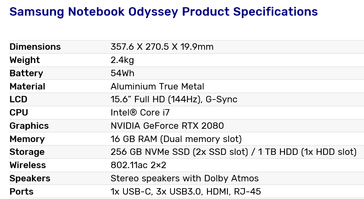 The manufacturer’s Odyssey range has hardly set the gaming world alight so far, so perhaps this latest entry will fix the issues previous models exhibited.